June 08, 2018, 10:58 a.m.
A lot has happened in politics over the past twelve months. 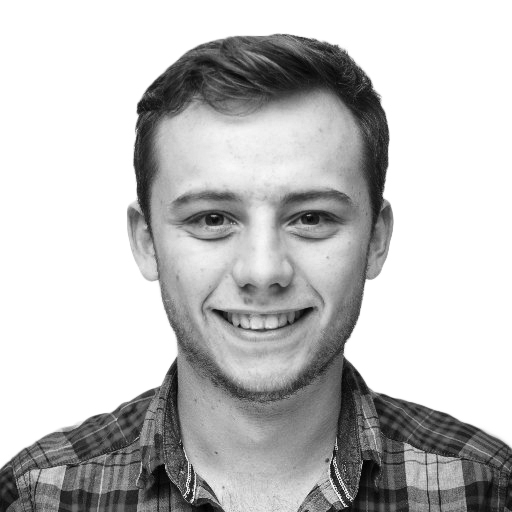 Beyond the ongoing Brexit negotiations we have also had Theresa May’s conference speech, the Skripal poisoning, air strikes on Syria, and an interesting set of local elections. But what has happened to public opinion in the year since the UK voted for a hung parliament? Since the election we have run 36 voting intention polls asking the public how they vote if there was another general election tomorrow. Each dot on the chart above represents one poll, with the line representing a rolling average of the previous three polls. During the two months before the election we saw dramatic shifts in voting intention. On the day the election was called, Labour was 24 points behind the Conservatives and ended up just three points behind when the votes were counted. By comparison, the movements over the past 12 months have been relatively minor. 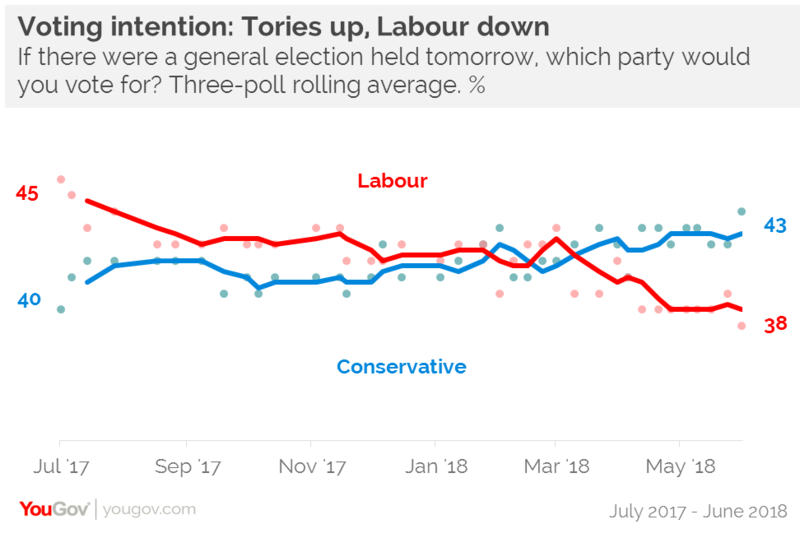 Labour saw an instant post-election bounce, with our first poll after the election giving them an eight point lead, but it has been declining slowly ever since. On average, the Labour lead has shrunk by 0.8% every month and we are now seeing regular Conservative leads of four or five points. Our most recent poll has the Tories and Labour on 44% and 37% respectively, with the seven-point Conservative advantage being the party’s largest lead since before the election. 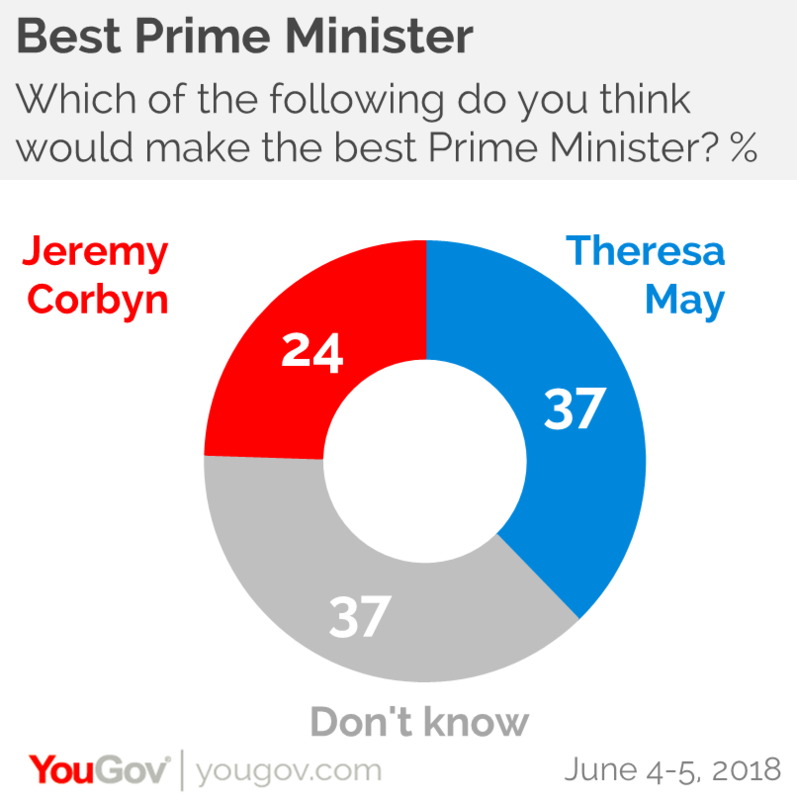 Our latest numbers have Theresa May on 37%, Jeremy Corbyn on 24%, with 37% saying “don’t know”. Despite the Conservatives’ improved standing in the polls and Theresa May’s better position in our Best Prime Minister Tracker, the public believe the Conservatives are in a weaker position than this time last year. Nearly half (44%) of the public say they “are in a weaker position now than at the general election.” Just one in eight (12%) think the party is in a stronger position and a quarter (25%) reckon they are in “pretty much the same position.” The remaining 19% say they don’t know. 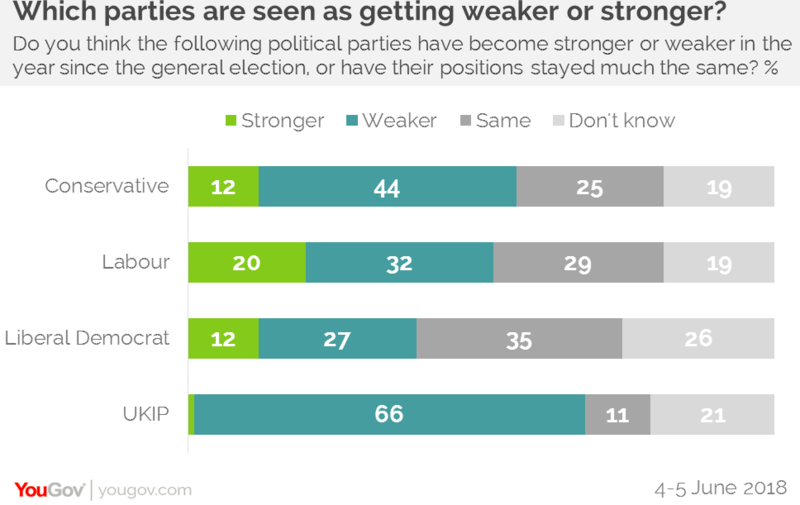 Yet the public don’t perceive this as a zero sum game, as on balance the public think that all of the main four parties are in a weaker position now than at last year’s election. That said, Labour seem to fare slightly better than the others – with a third (32%) thinking they are in a weaker position and one in five (20%) believe they are in a stronger position. Unsurprisingly, after being plagued with leadership troubles, it is UKIP who the public perceive to have weakened the most. Two thirds (66%) of the public reckon they are in a weaker position now compared to just 1% who think they are in a stronger position. Over the past 12 months, the public has consistently believed that Brexit is the most important issue facing the country. Health has continuously been in second place. It peaked during the winter months when 53% said it was a top issue facing the country – the highest level it has scored since YouGov began these tracking polls in 2010. Meanwhile, the two issues that dominated the 2015 parliament – the economy and immigration – have been relegated down the pecking order in the minds of the public. 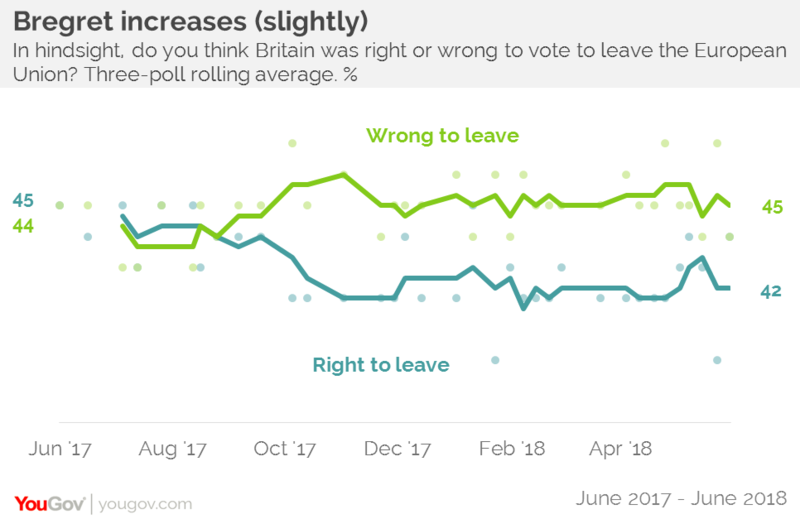 Over the past year, our research indicates that the proportion of people who believe that, in hindsight, Brexit was the wrong decision is now higher than the proportion who think it was right. Each dot on the chart above represents one poll, and the line showing the rolling average of the previous three surveys. This helps alleviate the random variation you get in any individual poll. Our analysis shows that the main shift has been among those who voted Leave in 2016 and then Labour in the 2017 election. Based on the average of the last three polls, 14% of them now think that Brexit was wrong and a further 15% say that they don’t know. The vast majority (71%) of this group also believe that the government is doing a bad job of handling Brexit.